Jehovah’s Witnesses firmly believe that in 1914 Jesus set up his invisible Kingdom to rule mankind. Read The Gentile Times to understand how they reached the year/date of 1914 for the establishment of God’s Kingdom. Truly I say to you that this generation will by no means pass away until all these things happen. Because they believe that God’s Kingdom was set up under the rule of Jesus Christ since 1914, and this is a facet of “until all these things happen” (Then the sign of the Son of man will appear in heaven, and all the tribes of the earth will beat themselves in grief, and they will see the Son of man coming on the clouds of heaven with power and great glory. And he will send out his angels with a great trumpet sound, and they will gather his chosen ones together from the four winds, from one extremity of the heavens to their other extremity.Matthew 24:30, 31), they are biblically tied to defining how long a period of time “this generation” is. However, their definition of “this generation” has, and continues to get them into a lot of hot water. Simply put, a generation is the period of time between when a person is born and when they reproduce. This is typically a period spanning between 30 & 40 years. When Jesus was warning his apostles of the destruction of Jerusalem, he said it would take place in “this generation”. He made that prophecy in 33 A.D. 33 years later the Romans surrounded Jerusalem and, by 70 A.D., 37 years later, the city was completely destroyed. “This Generation” that Jesus referred to was within the typical time period for a “generation” as defined in secular sources: 30 – 40 years. Is this how Jehovah’s Witnesses define a generation? A “generation” might be reckoned as equivalent to a century (practically the present limit) or one hundred and twenty years, Moses’ lifetime and the Scripture limit. (Then Jehovah said: 'My spirit will not tolerate man indefinitely, because he is only flesh. Accordingly, his days will amount to 120 years.Genesis 6:3) Reckoning a hundred years from 1780, the date of the first sign, the limit would reach to 1880; and, to our understanding, every item predicted had begun to be fulfilled at that date;-the “harvest” or gathering time beginning October 1874; the organization of the Kingdom and the taking by our Lord of his great power as the King in April 1878, and the time of trouble or “day of wrath” which began October 1874 and will end October 1914; and the sprouting of the fig tree. Those who choose might without inconsistency say that the century or generation might as properly reckon from the last sign, the falling of the stars, as from the first, the darkening of the sun and moon: and a century beginning 1833 would be still far from run out. Many are living who witnessed the star-falling sign. Those who are walking with us in the light of present truth are not looking for things to come which are already here, but are waiting for the consummation of matters already in progress. Or, since the Master said, “When ye shall see all these things,” and since “the sign of the Son of Man in heaven,” and the budding fig tree, and the gathering of “the elect” are counted among the signs, it would not be inconsistent to reckon the “generation” from 1878 to 1914 – 36 1/2 years – about the average of human life to-day. – Studies in the Scriptures, Vol. 4 The Day of Vengeance, pp. 604, 605. Needless to say, the “generation” that C.T. Russell spoke about didn’t see the world end in october 1914, even if the World’s first world war broke out the same year, just 3 months earlier than Russell had foretold. Question: In Matthew 24:34 Jesus said: “Verily I say unto you, This generation shall not pass, till all these things be fulfilled.” What did he mean by “this generation” ? Answer: It could hardly be said that he meant any human being living on the earth at that time. He was giving testimony concerning things that were to trans-spire at the end of the world. That was a long way off. No generation of the human race has ever existed as long as a thousand years. It follows then that Jesus must have meant something else. What could he have meant ? At the Jordan Jehovah started a new generation, a new creation, of which Christ Jesus is the Head. Jesus selected twelve disciples, who were with him for three and one-half years. Eleven of these we have every reason to believe constitute a part of that new creation. In But you are a 'chosen race, a royal priesthood, a holy nation, a people for special possession, that you should declare abroad the exellencies' of the One who called you out of darkness into his wonderful light.1 Peter 2:9 the apostle, speaking to the church of course, referred to those who are faithful. The irresistible conclusion therefore is that Jesus referred to the new creation when he said: “This generation shall not pass until all these things be fulfilled.” This then would be a strong indication that some members of the new creation will be on the earth at the time of Armageddon. The “generation” here is hazily defined as a period of time starting with the baptism of Jesus Christ in the Jordan and ending at Armageddon before all members of the “new creation” had died. The “New Creation” are those who have a heavenly calling, otherwise known as “The Anointed”. This is clearly explained in an earlier Watchtower article (The Watchtower, January 1 1927, pp.6, para 32 & 33). This interpretation of a “generation” was unique to Jehovah’s Witnesses as no secular or religious organizations have or had a similar view of a “generation”. The generation started in 1967 not 1914! Watch my video titled Jewish Witnesses to understand why 1967 and not 1914! You do realize that Jews don’t believe that the Messiah has come, never mind returning for a second time. How you can correlate Jehovah’s witnesses’ belief that Jesus returned invisibly in 1914 as being a mistaken date for Israel’s reestablishment as a nation in 1967 makes little to no sense. You are in your statement incorrect that Jews decline Jesus,Yeshua or Yahushua as Messiah.There are many followers of Yeshua as Messiah and Saviour and GodAlmighty which was manifested in human flesh. The gentile religions and churches belief that God replace Jews to Gentile in his Plan of the Ages.The State of Israel was always chosen.We all are sinners and we all need sometimes lessons,corrections and discipline. How can I correct Jehovah’s Witnesses of misunderstanding of year 1914?There are many indications.First of all if you carefully watched my video and used your Bible the year 1967 was for first time of Jewish control after 2000 years. I am convinced the year 1967 is end of gentile occupation of Jerusalem and beggining end,the time of trouble and biginning of prophecy by Jesus about Generation which I personally believe will not PASS AWAY. Secondly the religion or sect of Jehovah’s Witnesses is failing prophecy and their philosophy in 95 %!There is only 5% actually Jehovah’s Witnesses were correct. The thirdly Jesus is specific in his return that ALL EYES WILL SEE HIM,not mentioning about invisible presence. Please read your Bible,open your mind and pray to understand. Interestingly, I’ve come to a very similar conclusion, independent of your video (which I love). I am increasingly convinced that the existence of modern Israel is miraculous in nature and completely consistent with the bible’s prophecies. Like yourself, I found the conclusion that the time of the end started in 1967 to be inescapable. Interestingly, I long ago noted that the world destabilized right after the Six Day War, even though I believed “replacement theology” for most of my life. I always tucked that away for future reference and, perhaps six months ago, someone sent me a promo for Above and Beyond, telling how the Israeli Air Force of 1948 comprised four surplus Messerschmitts ME-109s. The irony of Hilter’s war surplus being used to defend Israel is delicious. It reminds me of Leviticus 26:7 You will pursue your enemies, and they will fall by the sword before you. 8 Five of you will chase a hundred, and a hundred of you will chase ten thousand, and your enemies will fall by the sword before you. The Six Day war was certainly like that and the outcome of the Yom Kippur war was almost too good to be true; especially considering the way that war started. Several times in the last six months I have stumbled onto interesting information regarding modern Israel and its astounding successes. More heartening, is to see interviews with Shimon Peres and Benjamin Netanyahu where they refer to the Bible, respectfully and knowledgeably . I have concluded that the possibility of modern Israel being fulfillment of prophecy has merit. More so, I find it interesting the that oppressive governments have frequently targeted Jewish people. 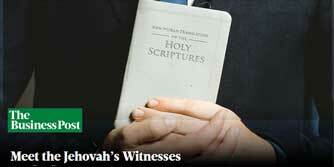 I left the Jehovah’s Witness faith when it became impossible to defend their ever changing eschatology. I was more than a little disoriented until I considered the possibility that “replacement theology” was not true. Once I took that step events seemed to make sense once again. I recall that God’s promise of the land of Canaan used the word “forever”. It’s pretty hard to reconcile that with replacement theology. Thank you for posting this Sheila. It is faith strengthening to see that I am not alone in my conclusions. My best to you and yours. Thank you. It was YHWH GOD and His Son Yahushua HaMashiach who led me in this conclusion. The prophesies are linked all to state of Israel or Jewish people and it is evident God Almighty YHWH has in the end plan to save rebellious chosen nation which will be saved in the end. We are the couple Kamil and Sheila Pyka. We Disassociated self from Jehovah’s Witnesses,me last year 2014 and my wife recently in August 2015. The watchtower writers or commission or Governing body constantly change biblical chronology and it’s definitely hard to defend such a evil actions. It is same as any other religion which proved to be scripturally unbiblical, self centred interpretation of Bible and obviously men made. You can check my youtube chanel video about my wife Disassociation letter I reason scripturally why organized religions especially Jehovah’s Witnesses is men made idea. Shalum. That is quite how I feel about it. I have prayed continually for guidance for decades now; ever since I began to have doubts about the Witnesses. In the years since I have learned very much and I edit my Creator for this. My current thinking is that our God will vindicate His name by saving Israel. The political situation does not look good for Israel and I wouldn’t be surprised to see an effort by the nations to eradicate them as a nation. If they are saved by our God it will make the issue of God’s sovereignty obvious to most of earth’s population. At that time, it may literally become true that ten men will take hold of the skirt of a Jew. In the meantime, JW.org seems to be floundering. They seem all but obsessed with completing Warwick and I suspect that this because they are running out of money and scrambling to finish Warwick while they have the opportunity. 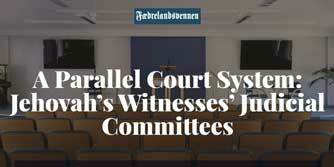 If literal Israel are the witnesses of the True God then their choice of a name could be quite unfortunate. That’s right you understand correctly end time prophesies. Many religions and sects will be very soon surprised what Agenda of United Nations 2030 means.Its sustainable development, protection of all human beings and destruction of all Religions or reuniting them into One World Religion. It is best not to be part of any religious order, political party and educational system of Satan. It all seems to fit. The only sense of hope I can muster is that the gentile times seem to have ended in 1967 which gives me hope that I’ll live to see the conclusion of all these things. Oh yes absolutely that’s very encouraging to know and have this Gnosis knowledge. I started to have doubts about the JW position in 1984. I still STRONGLY believe in a Creator and believe that He will rescue mankind, before it is too late, but the JW explanation fell short and as their paranoia increased and they began to mistreat the flock I concluded that there was a serious problem. For many years I floundered, but since I have given consideration to literal Israel as having a part in God’s purposes I have felt as if I now have satisfactory answers and a new direction. That’s good, keep praying to YHWH GOD Almighty and read Gods Word Bible and led holy spirit educate you and accept Yeshua Jesus as your Saviour. It is all needed for salvation. Never give up on our Creator and God. I am reminded of Psalm 118:8-9, which tells us to put our trust in God, not men. If you scratch the surface of JW teaching, they seem to link salvation to their organization in one way or another. That’s just not right. You are right salvation does not come through works to any religious order but by Faith to God and Saviour Yahushua HaMashich. Just a generation, maybe two, maybe three? What a joke on all of us that used to believe and have hope in such hogwash! Now, in my case, it has turned to disdain and a willingness to see the leadership AKA the Governing Body of Jehovah’s Witnesses go to jail for fraud and deceit or even a worse form of punishment for ruining so many lives!